Family Leisure has a huge selection and the best prices on replacement tanning bed bulbs and lamps. We have tanning bulbs for numerous manufacturers like Wolff and ESB. Shipping is free online and all orders placed by noon ship the same day. Whether you are looking to upgrade your existing lamps or they are just in need of replacing, we are your one stop shop for tanning supplies. 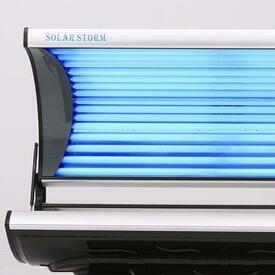 Be sure to check our Tanning Bed Buyers Guide before you start shopping!